Nelson artist Sean Garwood was chosen to travel to Antarctica at the end of November 2015 to sketch and photograph the historic huts of Robert Falcon Scott and Sir Ernest Shackleton by the Antarctica New Zealand and Antarctic Heritage Trust. 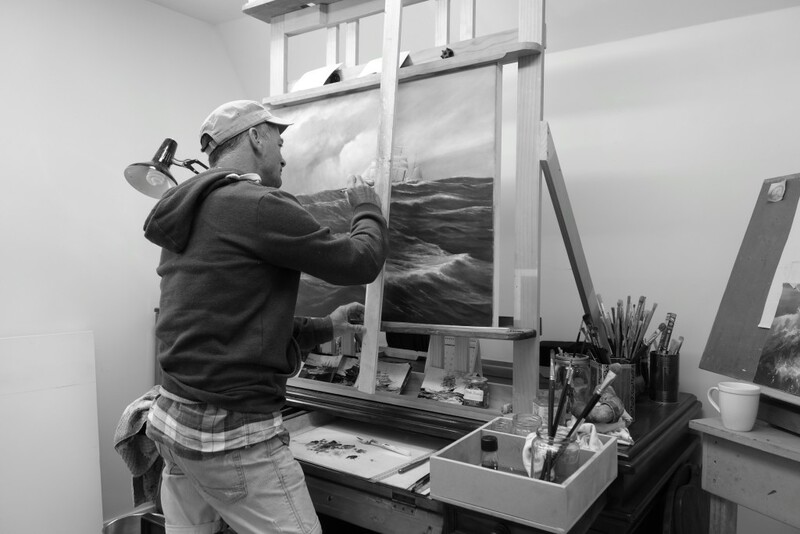 With his return to Nelson in December, Sean's task is to work full time on a collection of highly detailed oil paintings. His focus is predominantly on the inside of the huts which contain a treasure trove of personal items belonging to these famous polar explorers. 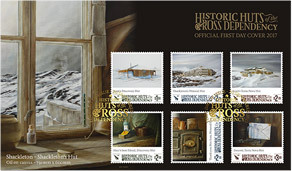 Find out about the NZPost's Historic Huts of the Ross Dependency stamp set featuring Sean's paintings. 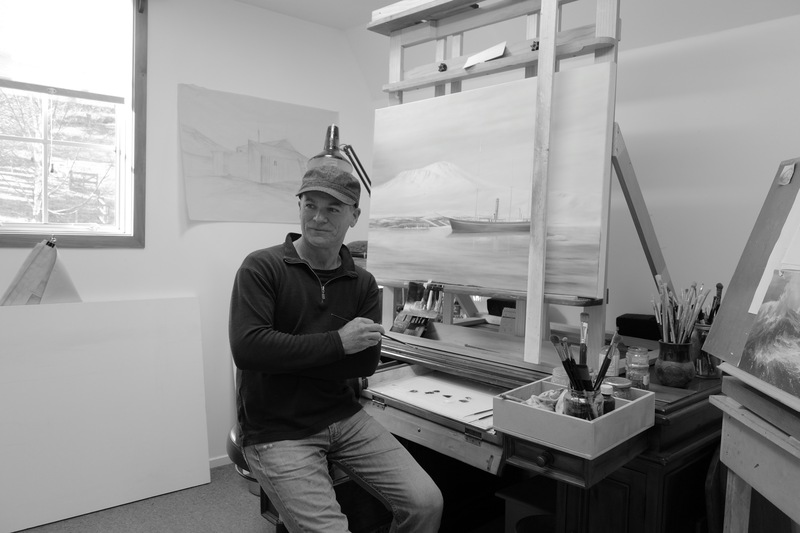 Listen to Sean talk to Kathryn Ryan about his oil painting project recording the intimate detail of life in the huts of Scott and Shakleton. 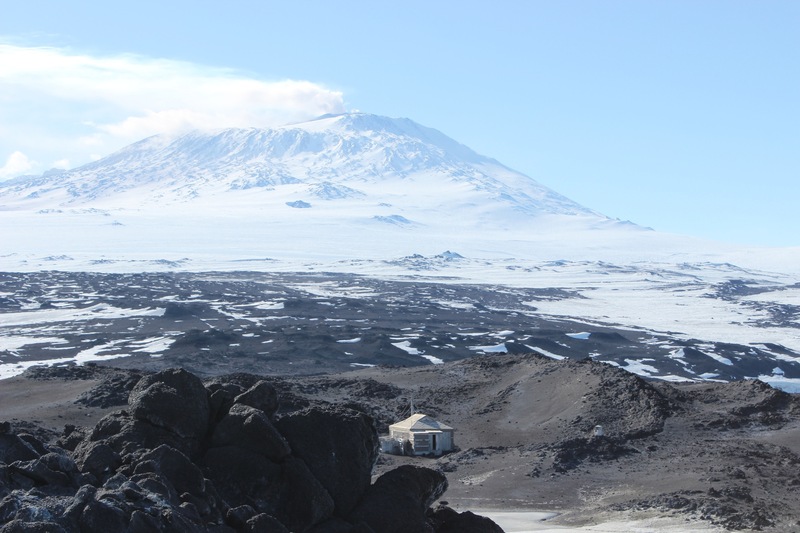 Travel to Antarctica was supported by Antarctica New Zealand through the Community Engagement Programme. 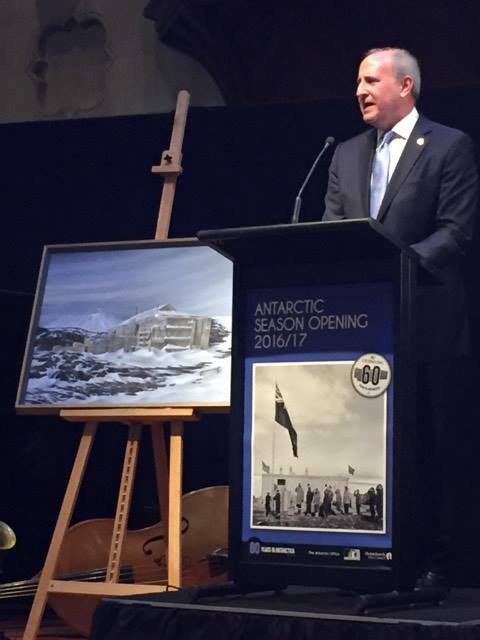 Antarctic exhibition – Christchurch October 6th to 9th 2017. Venue, Classics Building at the Arts Centre. The exhibition will open in the Classics Building, adjacent to the Great Hall at the Arts Centre from Friday 6th to Monday 9th of October 10am – 5pm each day. 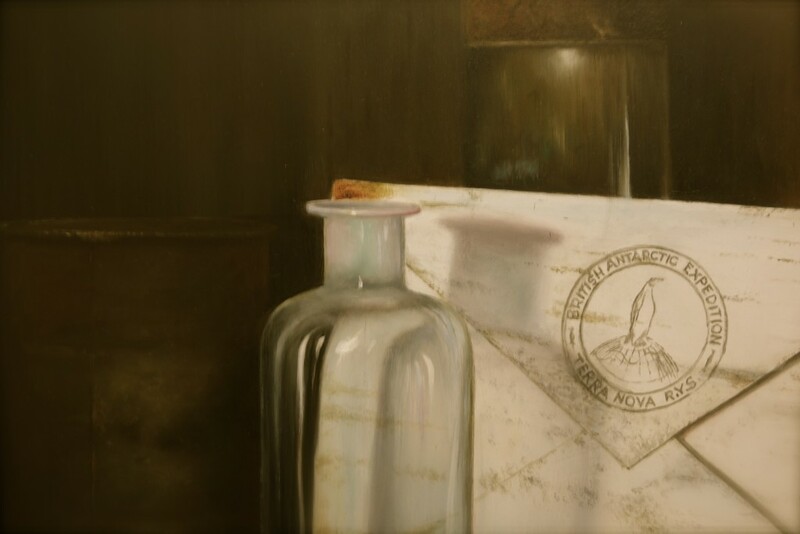 Please go on-line to register your interest in the exhibition and you will receive an invitation to attend the preview opening on Thursday 5th October at 6pm. Finally! 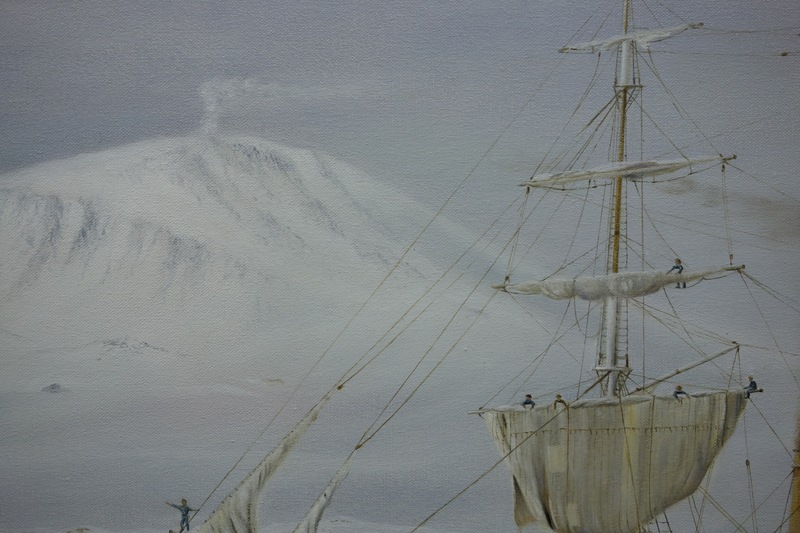 the Antarctic paintings are completed. 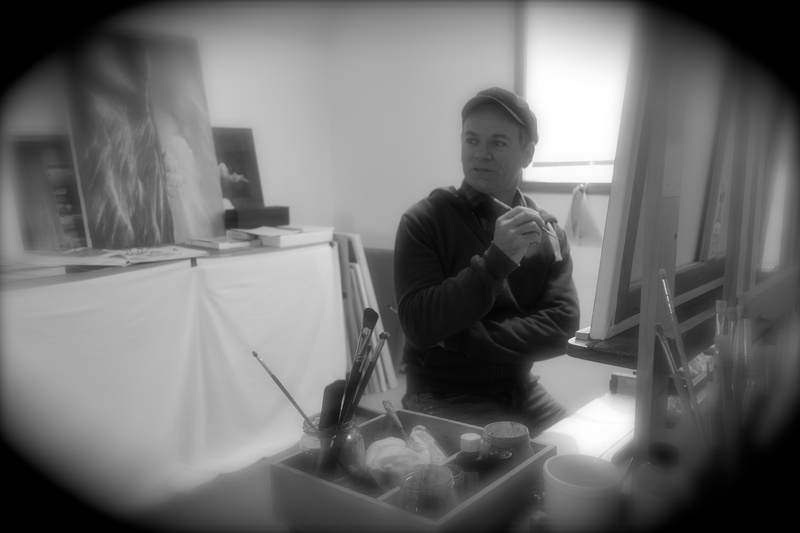 It has certainly been a challenging and very satisfying fifteen months since the first brush stroke was applied. 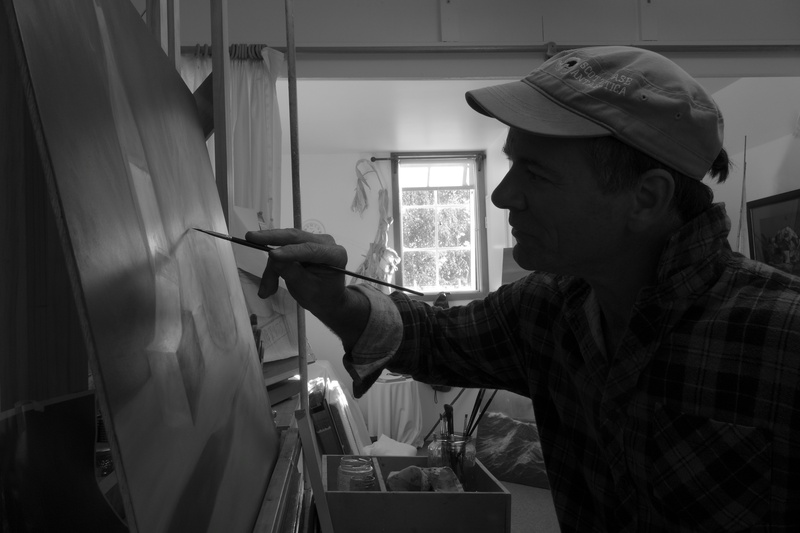 Long hours in the studio each day has seen the completion of sixteen paintings. 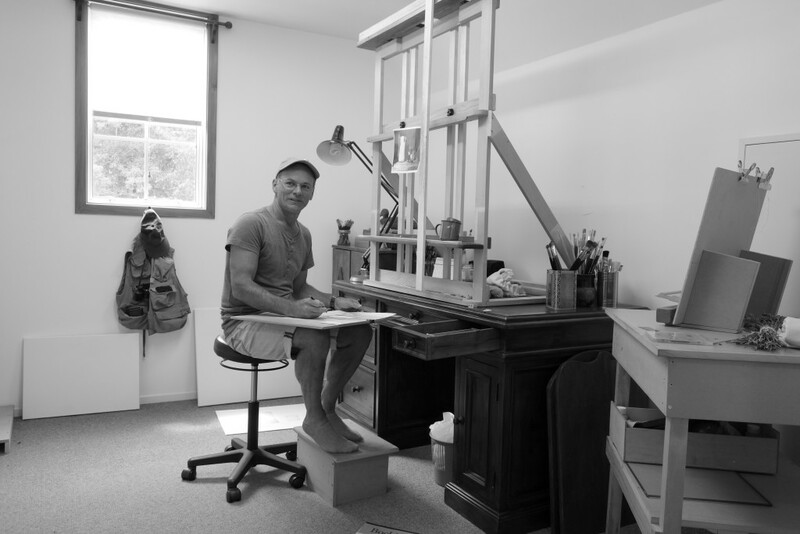 Now, very much looking forward to working with the Fine Art Society and organising the Christchurch exhibition. The exhibition venue will be the Classics Room which is adjacent to the Great Hall in the Arts Centre. The exhibition will run from the 6th to 9th of October. I have added some close focus sections of some of the works. Now on Instagram so you can check out other works. 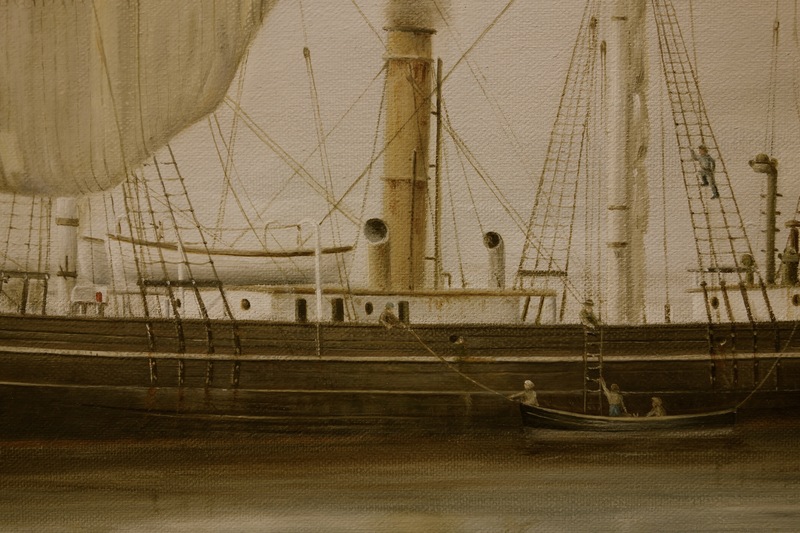 Cropped image of one of the paintings showing detail. 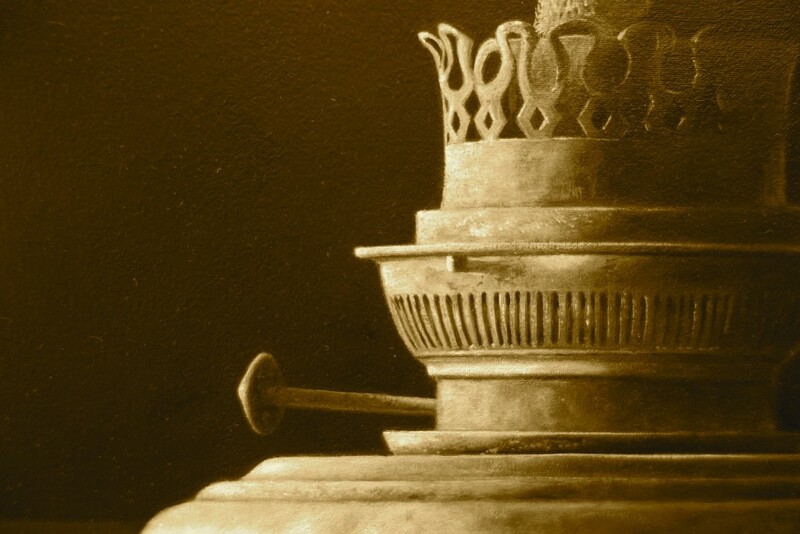 Close focus cropped image of a painting. 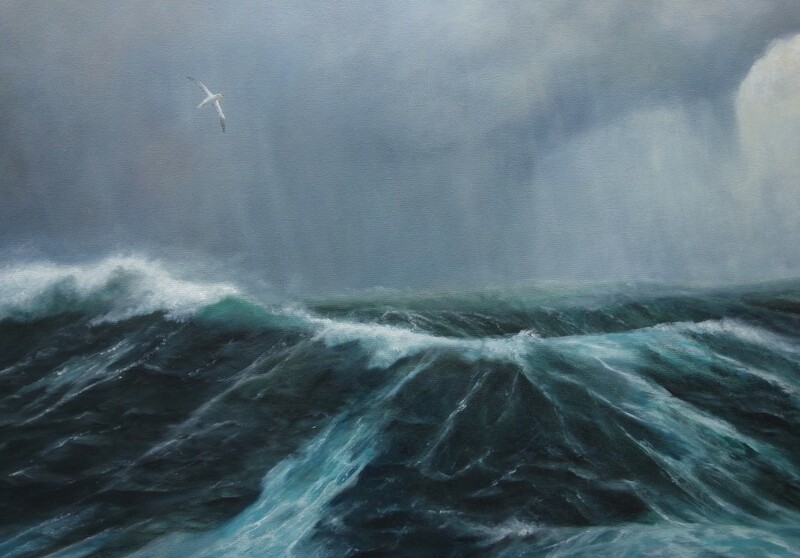 Close focus cropped image of the Southern Ocean painting. 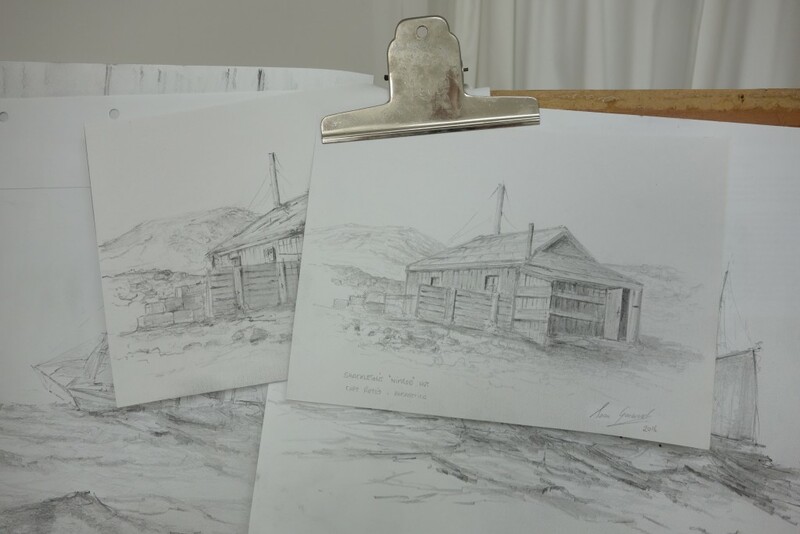 Detailed drawings of the last Antarctic paintings have now been sketched out and ready to be transferred to the canvas. Once completed, attention will be focused on the upcoming exhibitions. Dates and venues to be posted soon as we have received confirmation. 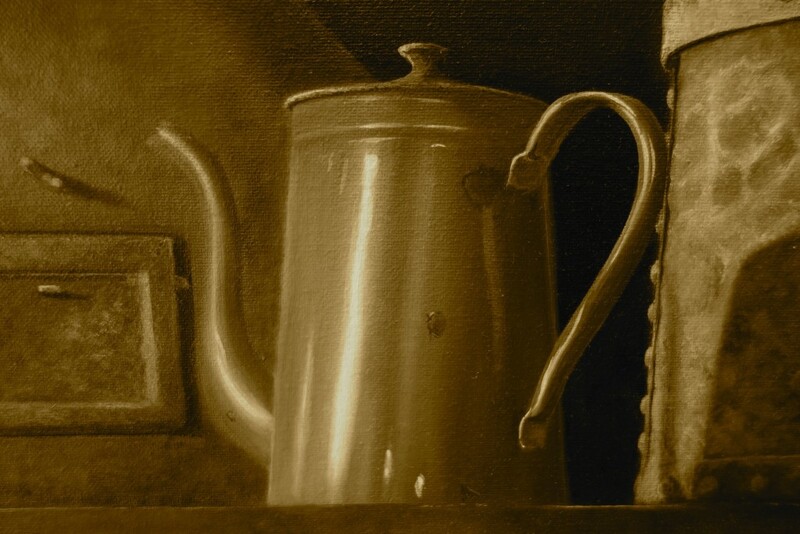 Also, here is section detail of some of the paintings. Section detail of old wicker lamp in Scott’s hut. The grand old Mrs Sam stove in Shackelton’s hut. Shackelton’s “Nimrod” arriving at Cape Royd’s. 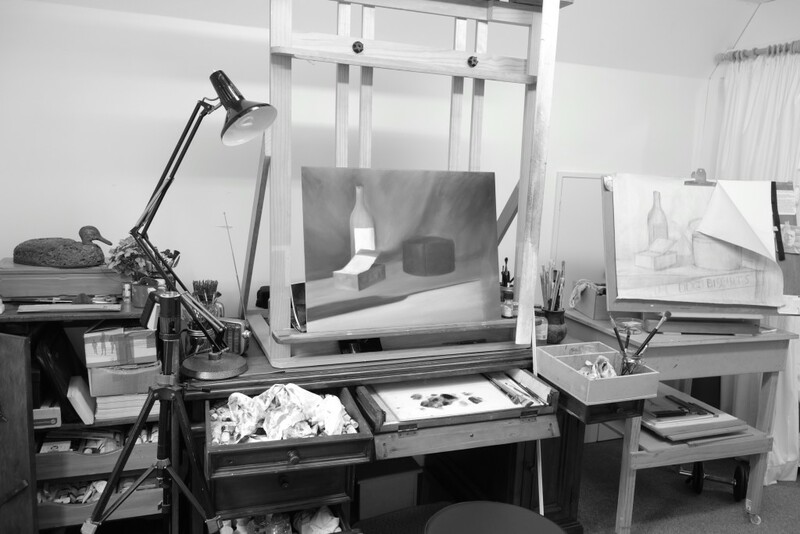 The studio with a underpainting in progress for on of the subjects. I don’t normally paint in the dark !!! 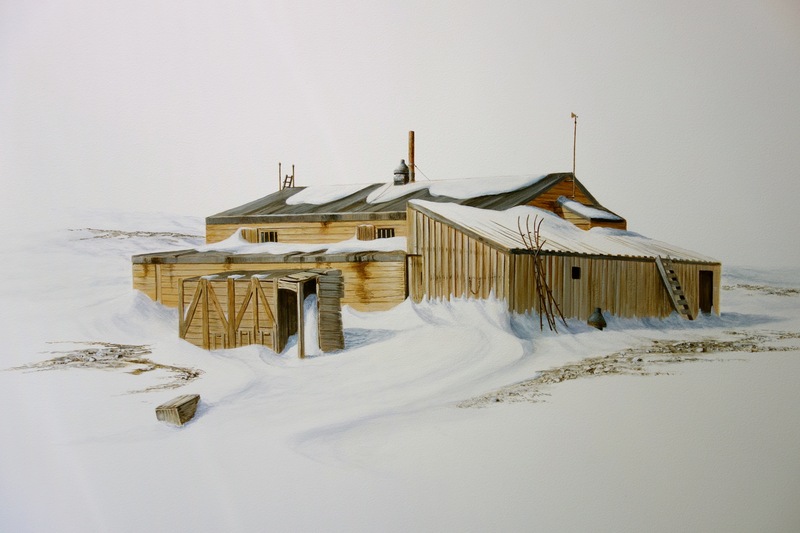 This is a acrylic study painting of Scott’s Terra Nova hut which is completed before embarking on the more complex oil painting. 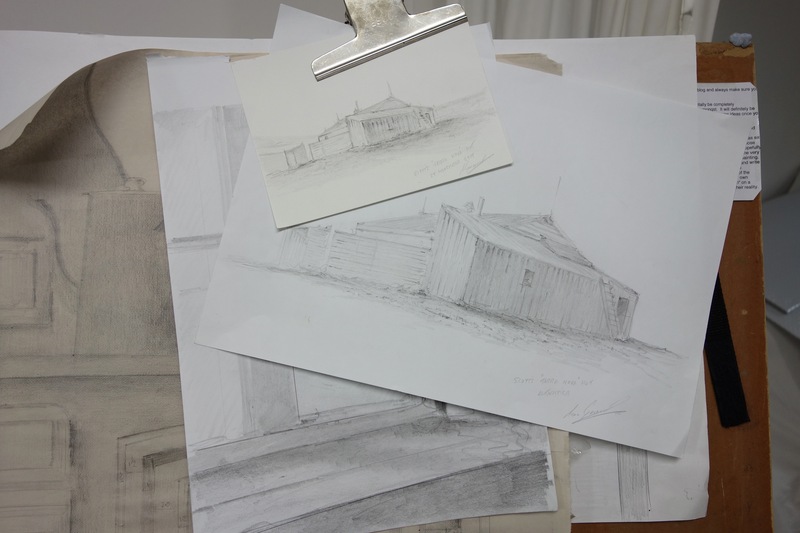 Paintings always begin with many drawings and sketches. 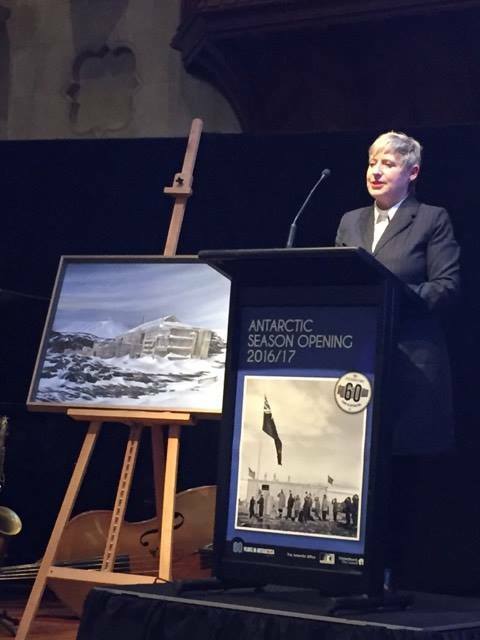 Thanks to Antarctica New Zealand for displaying one of my paintings at the Antarctic 2016/17 season opening function in Christchurch. 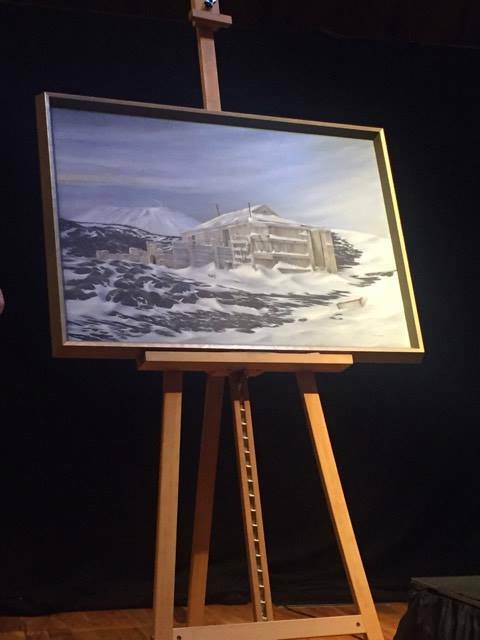 The painting is of Shackletons Nimrod hut which will be included in the September 2017 Antarctic exhibition in Christchurch. 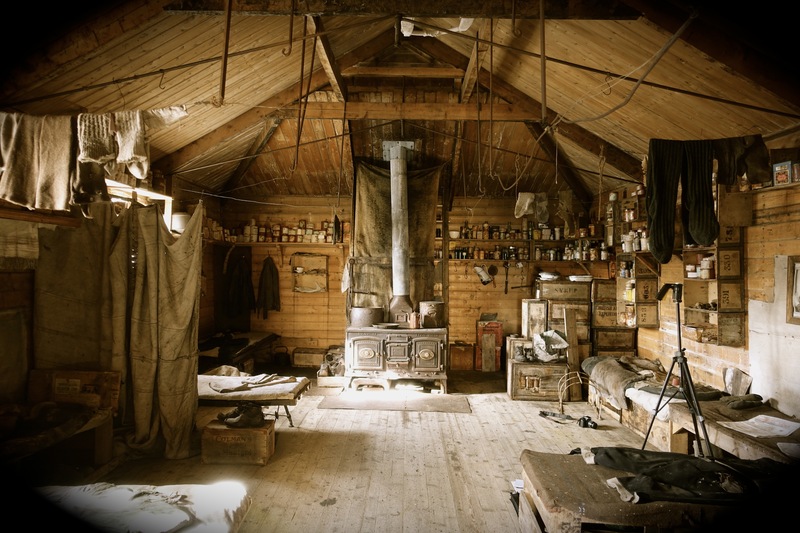 The painting exhibited is of Shackleton’s Nimrod hut. Speakers included MC and CEO Antarctica New Zealand Peter Beggs. Guest speakers included Mark Gilbert Ambassador of The United Staes of America and Lianne Dalziel Mayor of Christchurch. 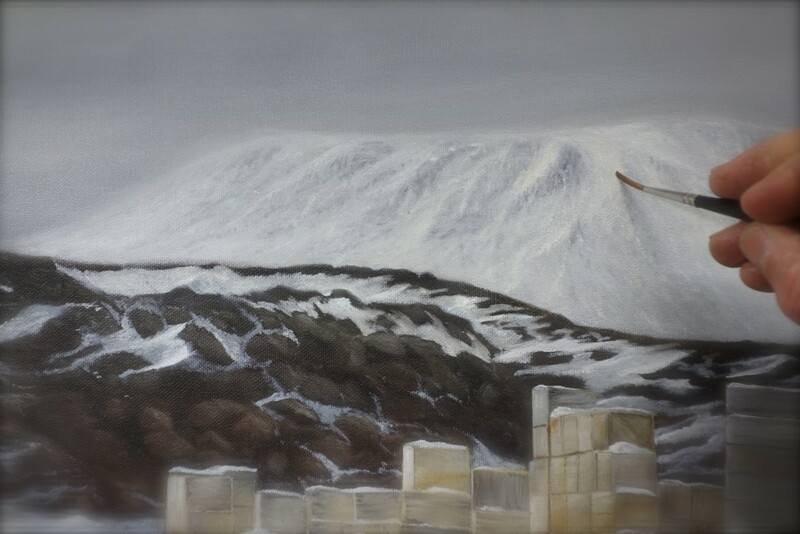 Oil painting of Shackleton’s Nimrod hut. 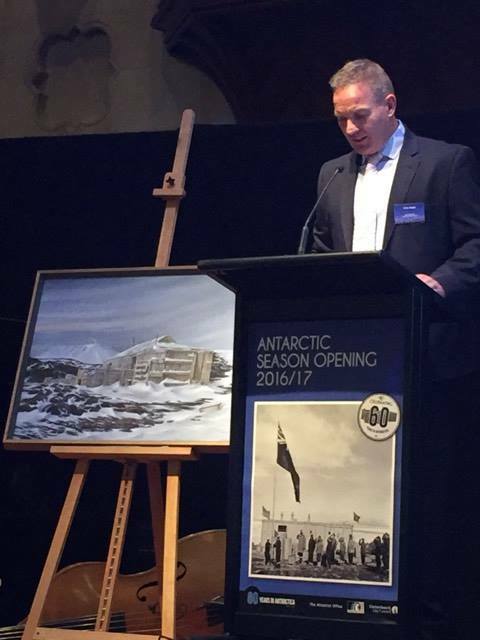 Peter Beggs, MC and CEO Antarctica New Zealand. Mark Gilbert, Ambassador Of The United Staes Of America. Lianne Dalziel, Mayor of Christchurch. The Antarctic paintings are progressing nicely. Each subject presenting a new challenge. 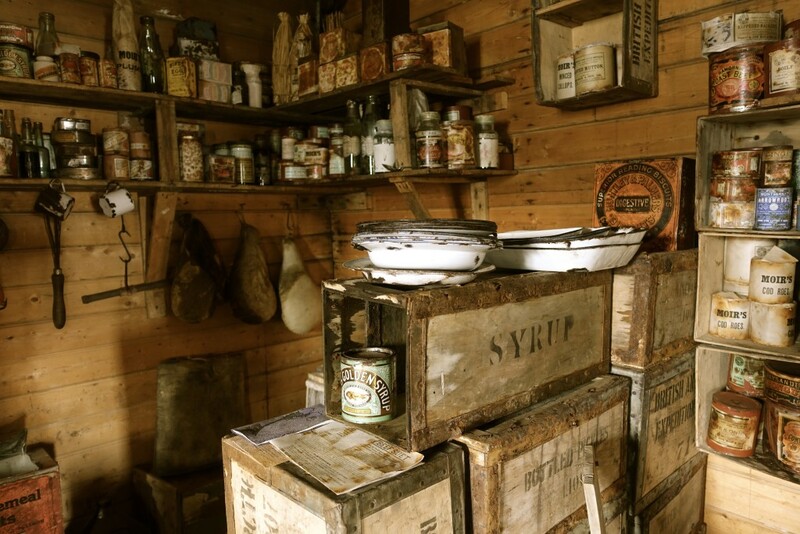 Once I had entered Nimrod hut, the contents had my focus of attention. 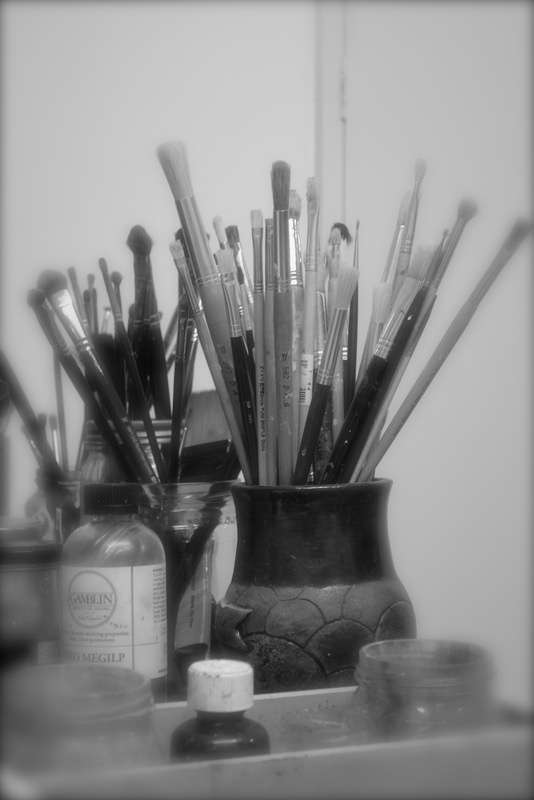 Painting subjects galore. Another long night was looming. Sleeping was wasting precious time. The urge to start photographing and sketching had to be checked as now it was time to stop, pause and soak it in. 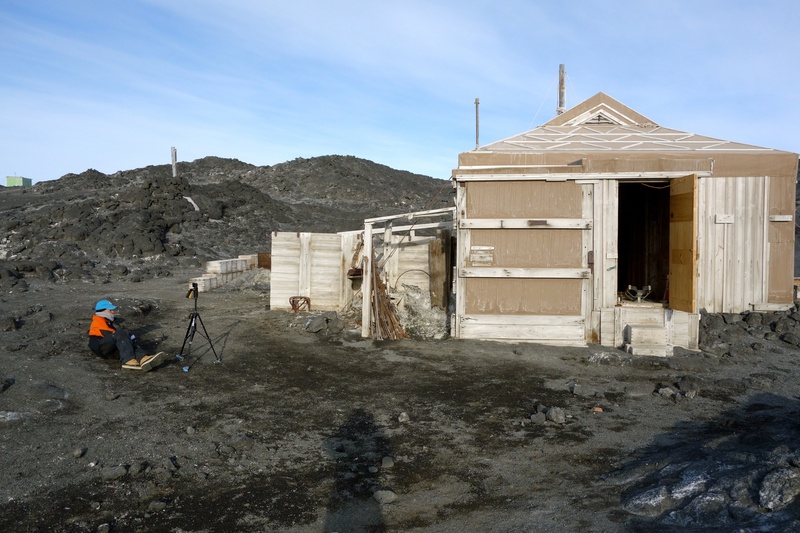 Once again I am thinking what a huge privilege it is to stand here alone in this tiny hut that represents one of the most extraordinary chapters in modern exploration history. The memory will endure for years to come. Some things we never forget. This is ‪Shackleton‬. Hours of photographing. All night as well…no sleeping here. 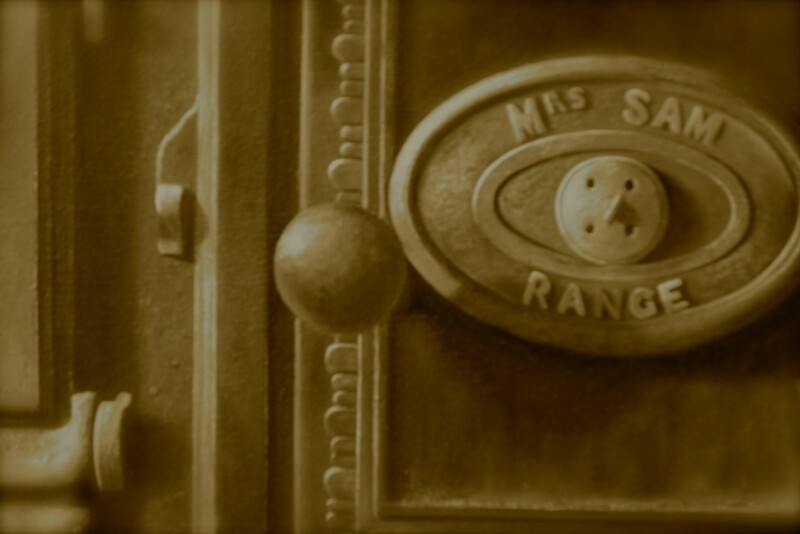 The famous Mrs Sam coal range. Very personal. I wonder which explorer they belonged to. I was looking through this window thinking how many times they must have done the same thing and dreamt of the green fields back home. 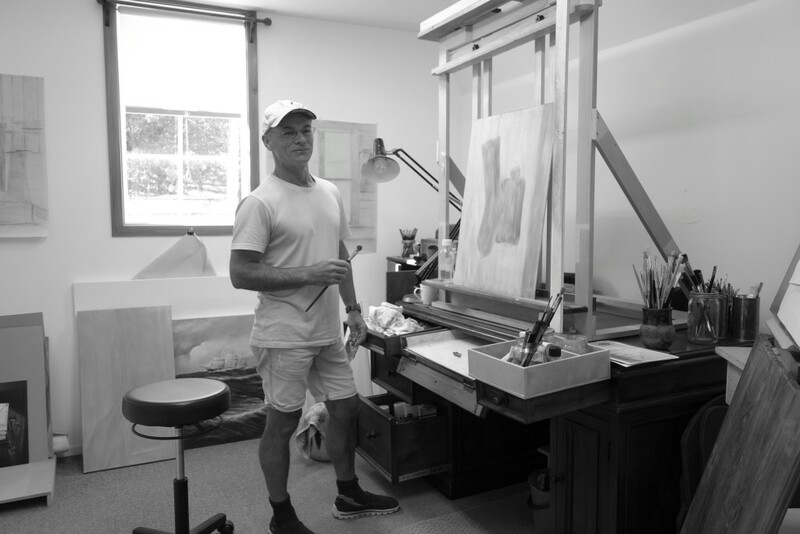 Introducing the studio recluse beavering away with the ‪#‎Antarctic‬ paintings. How about a progress report, well it’s steady progress. The traditional oil painting process is extremely time consuming especially when each subject starts with a thumbnail sketch and then finishing with a more detailed large drawing that is eventually transferred to the canvas. 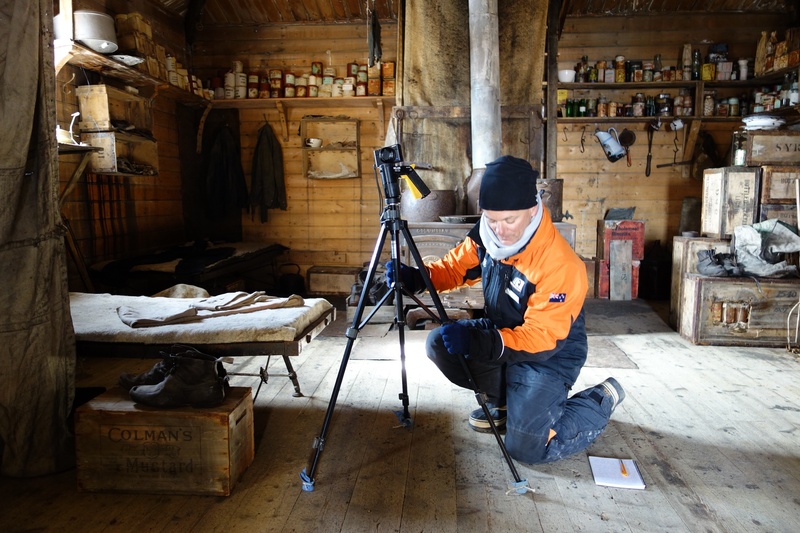 The Antarctic subjects are challenging to capture the mood of hardship and isolation but definitely achievable. 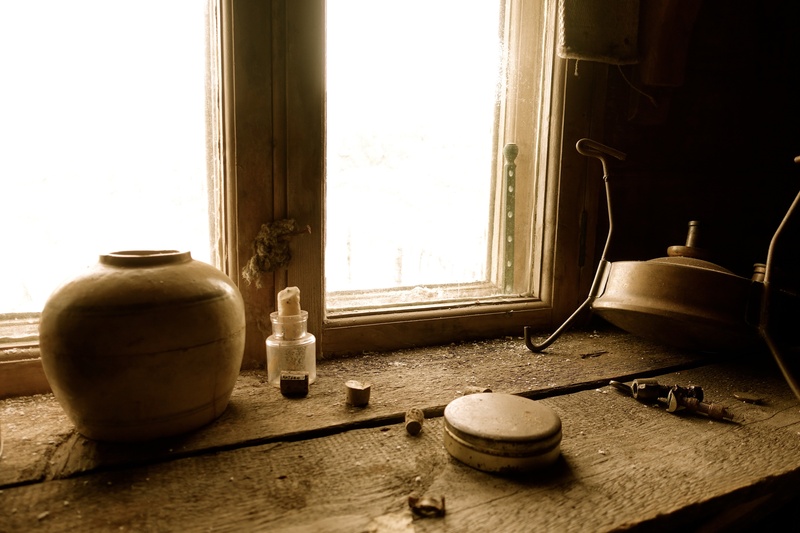 My first look inside the hut. You can see what I mean about Mrs Sam. Soon as I entered the hut I was smiling. This feels like a small country hall. It also felt inviting and uplifting. 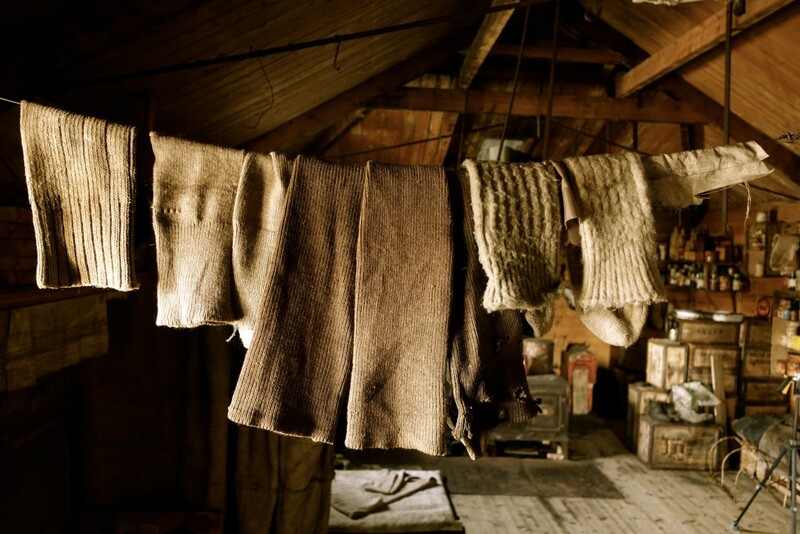 The huge coal range at the other end of the hut made a statement of warmth, even though it was bloody cold. It felt like home. Im thinking now, it wouldn’t surprise me if Shackleton being the clever man he was, planned for the big Mrs Sam coal range to be placed right there. 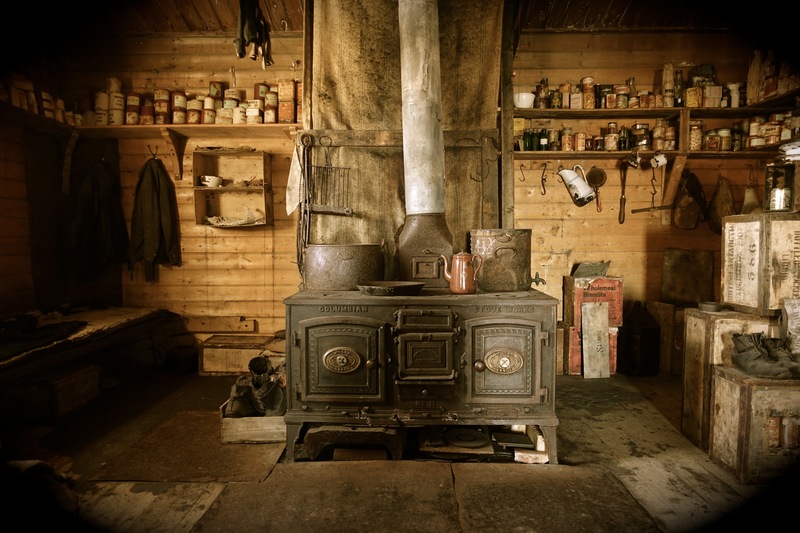 Well when you think about it, soon as the men entered the door they would see this magnificent looking beast which would have immediately radiated warmth. Lots of light coming through the generous windows. Whats the other word I’m looking for, oh yes cozy. I am imagining how the explorers must have felt with the brutal winter storms this must have felt like paradise. During the summer months it must have felt like a beach house with the deep blue of Mc Murdo Sound a few hundred meters from the entrance. The Adelie penguin colony, well thats another story. I could live here, yes this place feels simply nice. Cape Royd’s the friendly Cape. Looking out over Mc Murdo Sound. 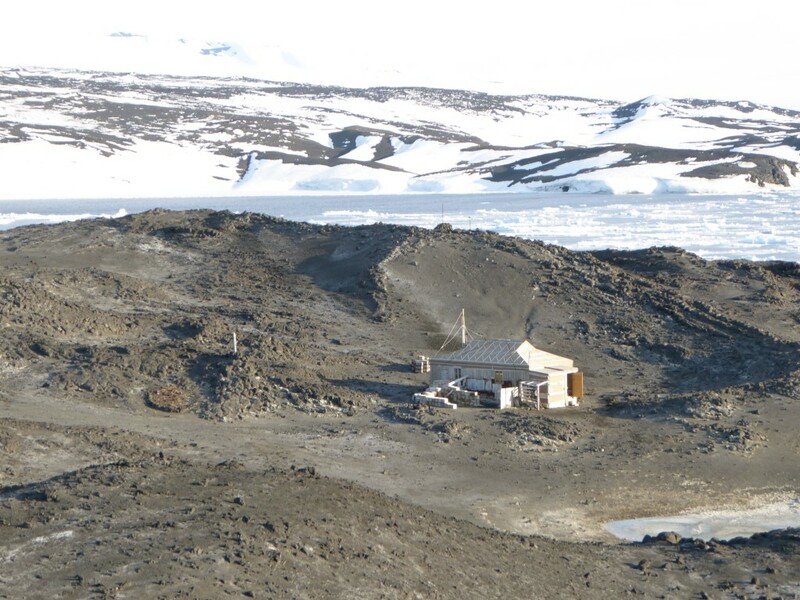 The Adelie Penguin colony is just in front of the hut at Derrick Point and Flagstaff Point. With the camp set up and Nichy brewing up it was time to take in the panorama of the famous Cape Royd’s. Wow! Complete contrast to Cape Even’s which was quiet beyond belief. 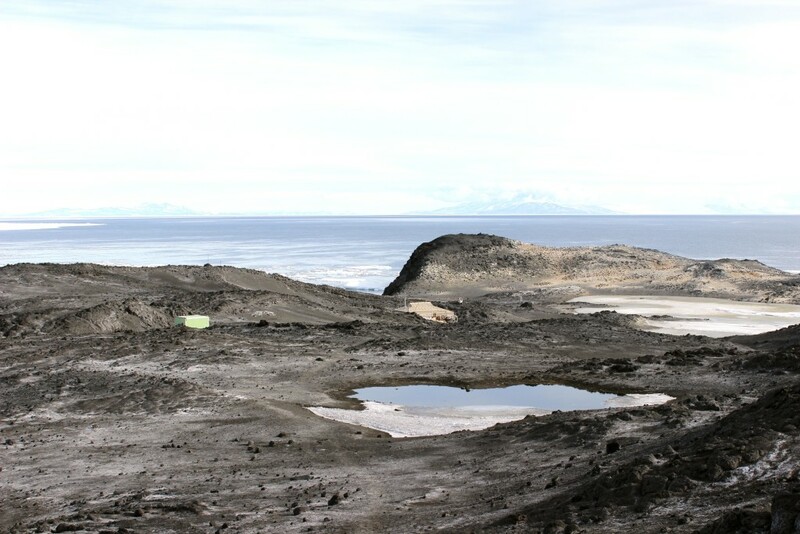 Here at Cape Royds I’m looking out to the deep blue water of Mc Murdo Sound. Unlike Cape Even’s the sea ice is breaking out. 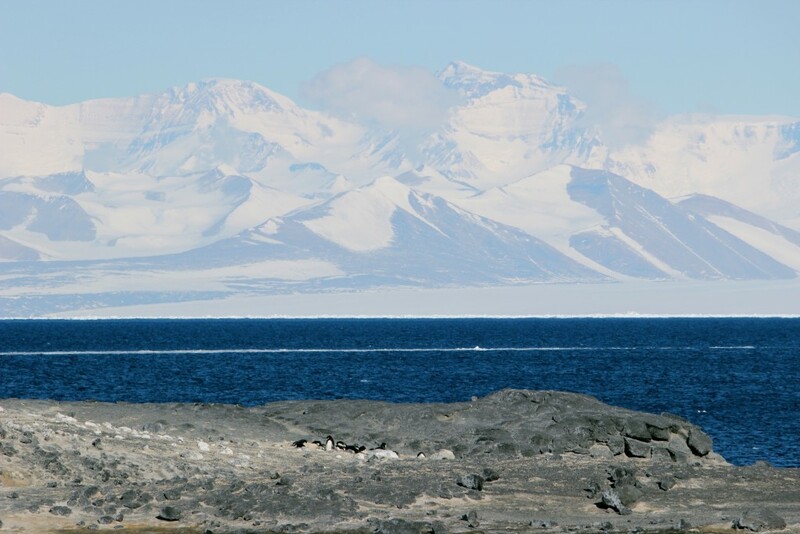 Looking out over Mc Murdo Sound towards the Trans Antarctic Mountains. 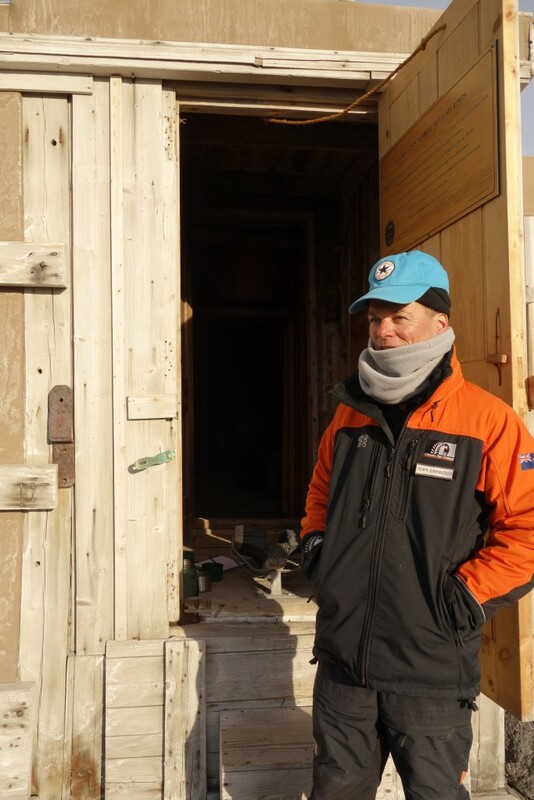 The Adelie Penguin colony is situated just in front of the hut so we had the pleasure of listening to the chitter chatter of thousands of Adelie Penguins. So there is a lot going on here at Cape Royd’s. It feels good really good. 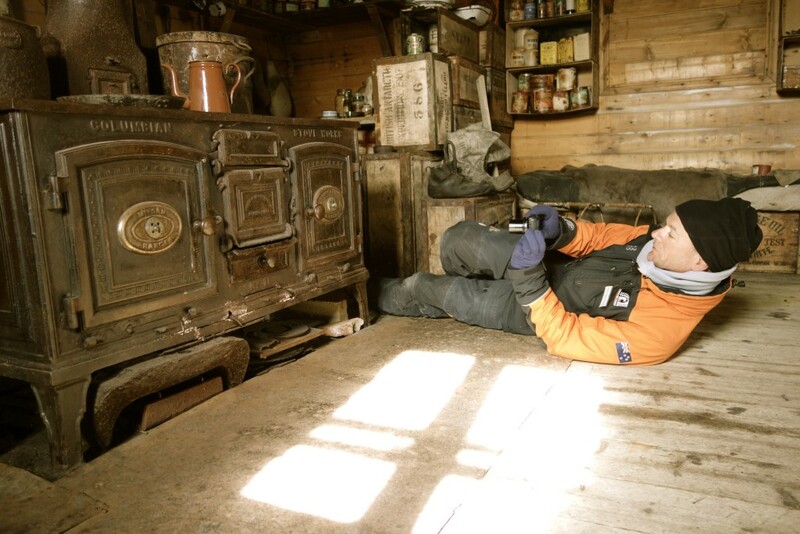 Is this how Shackleton felt, I reckon so. Im looking down at the hut some 400 meters away. By now I’m chomping at the bit to get down there. However Nichy is preparing lunch first. Yes indeed some food first as I know this is going to be a long day and night. I can’t wait! Looking back towards Mt Erebus. Copyright © 2014 Sean Garwood - All Rights Reserved. Sean Garwood retains all rights, including copyright, in data, image, text, and any other information contained in these files. Sean Garwood expressly prohibits the copying of any protected materials on this Web site, except for the purposes of fair use as defined in the copyright laws. By downloading, printing, or otherwise using text and image files from this Web site, users agree that they will limit their use of such files to fair use, and will not violate Sean Garwood's or any other party's proprietary rights. Unauthorized commercial publication or exploitation of Sean Garwood's files is specifically prohibited. 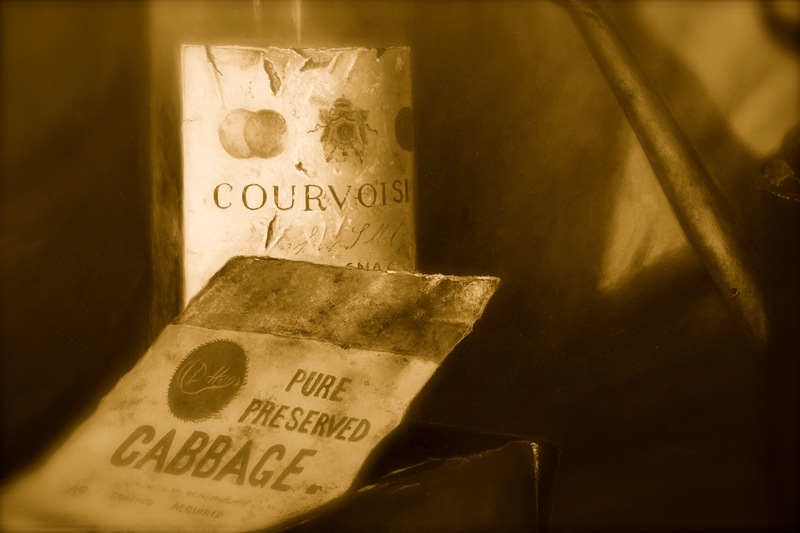 Anyone wishing to use any of these files or images for commercial use, publication, or any purpose other than fair use as defined by law, must request and receive prior written permission from Sean Garwood. 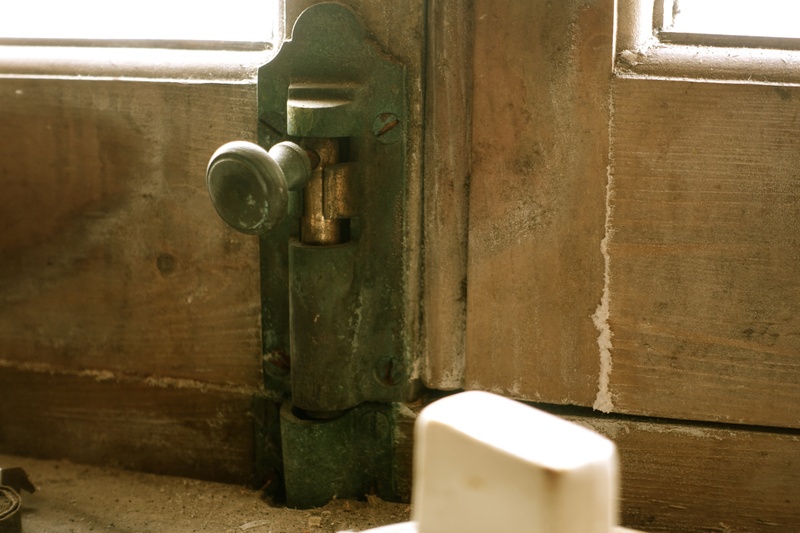 Permission for such use is granted on a case-by-case basis at the sole discretion of Sean Garwood.